The current day business landscape has become extremely competitive and every company tries very hard to provide excellent products and services and maintain their brand image. In this effort, most businesses opt for various promotional merchandise and printed promo pens are a very popular option. These are custom-printed pens that can be used for distribution to employees within your organisation; they can also be distributed at events and conferences and are perfect promotional giveaways at trade shows and business fairs and events. Why opt for Printed Promo Pens? Small and portable– Pens are lightweight, pocket-sized and portable items. It makes them ideal at many events where quick branding is required. In fact, many institutions that hold charity events opt for printed promo pens. They can be stocked very easily, don’t take up too much space and can be placed on counters or tables at the events too. Variety– These pens are available in a variety of styles and colours and you can choose something very unique and attractive. In fact, you may find something that matches your corporate and logo colours too. This makes it the perfect way to create an impact. 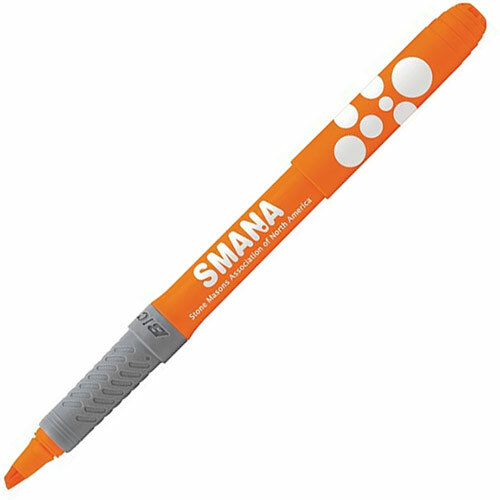 Suitable for everyone – Some people wonder whether printed promo pens look stylistic enough. They feel that since these are low-priced items, they may not be suitable for high-level events and conferences where top-level executives or clients will be present. However, this isn’t the case. We understand that every customer has specific needs; and so we also have a wide range of premium Waterman, Parker & BIC pens and can print your company logo on them. Since we provide the best pens and use the best printing techniques, printed promo pens look stylistic, elegant and very professional. They become an excellent tool for maintaining brand visibility or celebrating milestones, even at very high-level events and meetings. Ideal for educational institutions– Many schools and colleges like to have printed promo pens for their functions and events. Since these are going to be gifted to students, the educational institutions prefer to order pens in various bright colours. If you like we can add college/school logos as well as inspirational messages on them and this makes them an excellent gift for students. For more information about our high quality printed promo pens just get in touch with Ezy Promo Pens at this number- 1300 753 675. You can also connect with us via email- info@ezypromopens.com.au or through this form and we’ll reply soon.